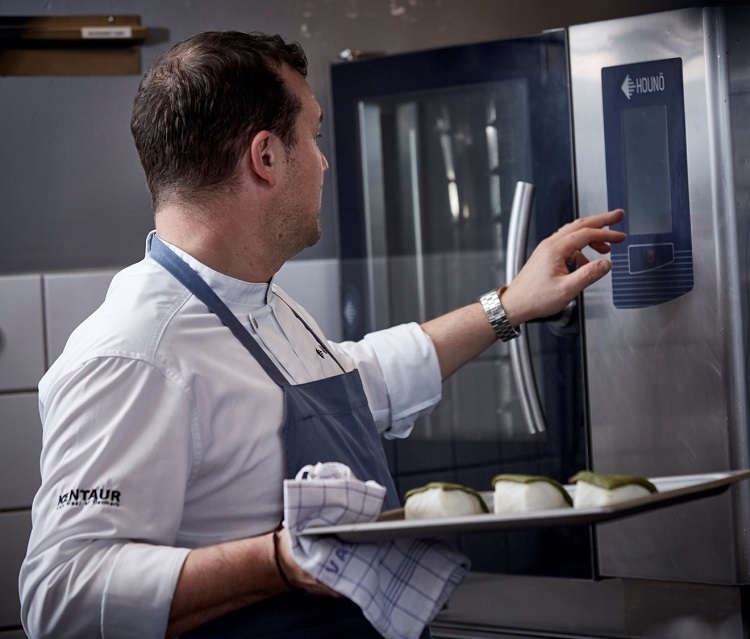 Danish combi oven manufacturer, HOUNÖ A/S, has received an international accolade for its innovation within the foodservice sector. HOUNÖ’s Let’s Cook Cloud Solution has received a ‘Special Mention’ in the Interactive User Experience category at the German Design Awards 2019. Presentation of the award will be made at a ceremony on 8 February 2019 during the Ambiente trade show in Frankfurt. This latest recognition follows the success of the company’s cloud based technology from award schemes in the UK, Europe, Australia and the USA. The services of Let’s Cook are made available via a simple and user-friendly digital interface, which delivers an outstanding interactive user experience. The technology is scalable for individual restaurants to global restaurant chains. The Let’s Cook Cloud Solution for the foodservice industry is designed around input from industry professionals and came to fruition following collaboration with large international hospitality operators, restaurants, QSR chains and other sector specialists. Based on industry feedback Let’s Cook addresses the performance and cost issues facing foodservice operators, simplifying essential activities for increased operational efficiency and cost savings. The Let’s Cook Cloud Solution may be specified for all new HOUNÖ SmartTouch® ovens and all existing SmartTouch® ovens can be retrofitted with the technology. Global restaurant chains are experiencing the many benefits of using HOUNÖ’s IoT-based central management tool. The Let’s Cook Cloud Solution enables a real-time overview of users’ oven fleets. It lets users access and monitor their ovens anytime, anywhere, on any device, without a limit on how many ovens users can connect. It is a professional tool for increased control of product performance and user behaviour, which gives chain management the ability to optimise procedures. Head offices can also monitor and learn from circumstances in each location through Let’s Cook. It then becomes much easier to identify and regulate incorrect processes in every single kitchen across large geographical areas and across borders. Let’s Cook provides the ability to optimise procedures, avoid overproduction, limit food waste and increase revenue, without compromising product quality and the guest experience. Recipe distribution has been identified as a costly and time-consuming issue by the global hospitality chains with whom HOUNÖ collaborates. Let’s Cook enables the distribution and update of recipes directly from operators’ headquarters to each connected oven. Let’s Cook provides the ability to ensure quality and consistency across all locations. The technology also makes it simple and fast to update the latest oven software to all connected ovens across an estate. Let’s Cook also offers an online training environment, which makes it easy to ensure that staff get consistent and appropriate training across all locations. Let’s Cook delivers simple and instant access to HAACP reports for all connected ovens. It provides the ability to effortlessly control and overview the cooking processes on all connected ovens, simplifying food safety control. Preventative maintenance also becomes much easier with HOUNÖ’s cloud solution as service technicians are able to diagnose errors prior to the site visit, increasing the first time fix rate. Let’s Cook facilitates proactive maintenance regimes to reduce emergency service visits and maximise oven uptime.